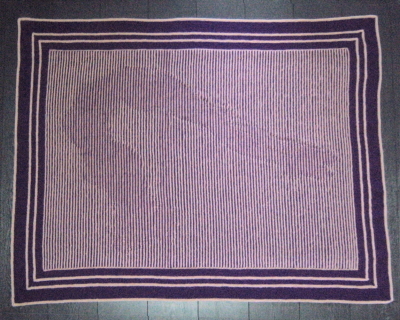 It is not often that we accept commissions to create illusion knit designs. The price we would charge would have to reflect the large amount of work that goes in to the charting and test knitting involved in the creation of the piece. On average the complex illusion knits we create take in the region of 100 hours to chart and sometimes as long again to test knit. This project was different. We were asked to create this Pole Dancer Illusion by a friend. 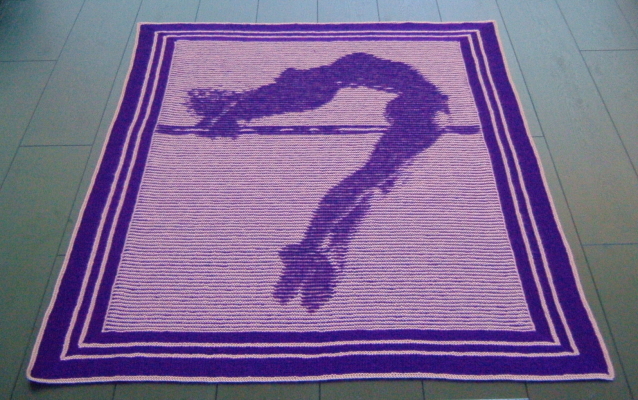 The dancer in question is the daughter of that friend and she has now agreed that the pattern itself can be offered for sale to anyone who might want to knit the illusion themselves. The photos show the illusion used as the centre of a bed cover. It could be used, with, or without, a border as a wall hanging.